US Highway 89 from Montpelier travels south along the west side of the beautifully turquoise blue Bear Lake. You won’t be able to resist stopping to put your bare feet in the sand and crystal clear water. You can wade out far from shore in the shallow water along the beaches. 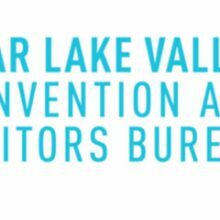 There is so much to do and see in this beautiful valley. 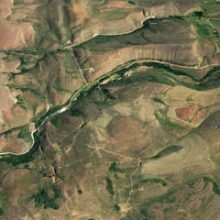 Shortly after settlement by Mormon pioneers in 1863, an ominous tale began to circulate regarding a large, serpent-like creature lurking beneath the lake’s icy waters. Indians told the first settlers that a monster had attacked and carried off two of their tribe members. 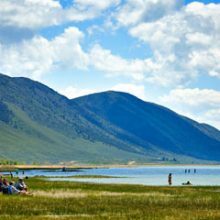 As a result, the tribe had stopped coming to the lake shore and bathing in the turquoise blue waters of Bear Lake. 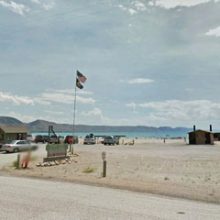 When visiting Bear Lake, always keep your eyes and ears open. You never know when you may be the one gobbled up by the Bear Lake Monster! 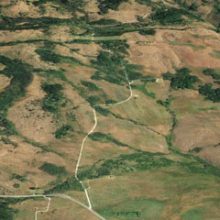 Beautiful Bear Lake has a network of 350 miles of groomed trails and has extensive additional mileage in marked, ungroomed trails. 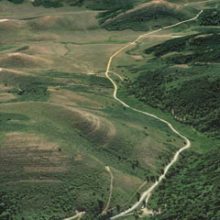 Diamond Creek Trailhead for snowmobiling, ATV riding and mountain biking near Bear Lake Idaho. 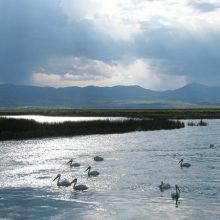 This waterfowl refuge, along the north shore of beautiful Bear Lake, is great for observing white-faced ibis, Canada geese, ducks, sandhill cranes, and a variety of songbirds. 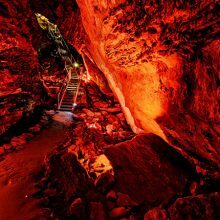 Tour through a wondrous half-mile of stalactites and stalagmites in the largest limestone cave in Idaho. 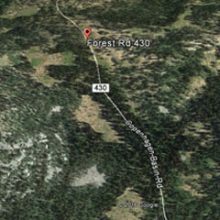 Trailhead for snowmobiling, ATV riding and mountain biking near Bear Lake and Montpelier Idaho. 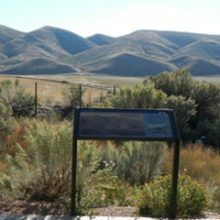 Emigrants by the thousands entered present day eastern Idaho at this location traveling along the Oregon-California Trail. 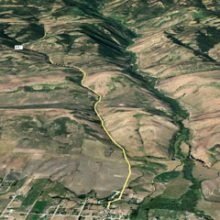 Emigrants on the trail encountered Big Hill, thought to be the steepest and longest descent found on the trip west. 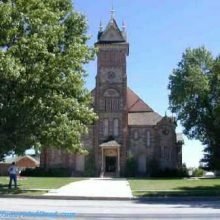 This place of worship is recognized as one of the true pioneer landmarks of the West and is listed on the National Register of Historic Places. In 1889, this Romanesque Mormon tabernacle was constructed of red sandstone that had to be transported by wagon or sled from a quarry 18 miles away. North Canyon trail head for snowmobiling, ATV riding and mountain biking. 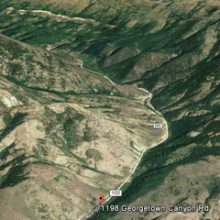 Green Canyon Trail Head for snowmobiling, ATV riding and mountain biking. 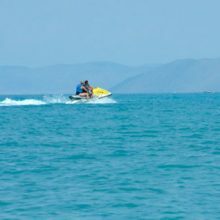 The two units of this park feature four miles of sandy beaches for public-lands-campground, swimming, boating, water skiing, sailing and fishing. 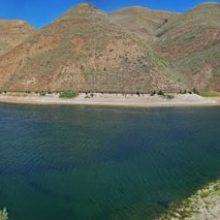 This sparkling turquoise lake spanning the Idaho-Utah border offers swimming, boating, water skiing, sailing and fishing. 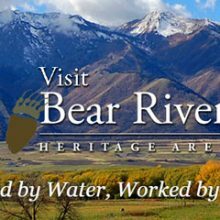 Stop in at the visitor center in Garden City, along the shore of Bear Lake, to discover all of the attractions and outdoor recreation in the area for Idaho and Utah. 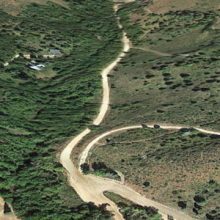 Trail head near Bear Lake for snowmobiling, ATV riding and mountain biking. 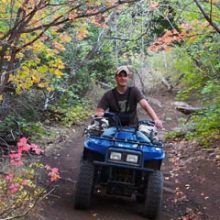 Trailhead for snowmobiling, ATV riding and mountain biking near Bear Lake Idaho. Download our Northern Bear Lake – Preston Snowmobile Map or order our Printed Snowmobile Maps. 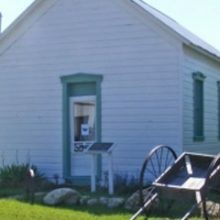 This small log and wood frame building over 125 years old, is listed on the National Register of Historic Places. In Georgetown’s early settlement, it functioned as a local chapel, schoolhouse and general meeting hall. For many years it was a focal point for the female society of this small community. 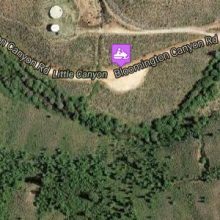 Fish here for Bonneville Cutthroat Trout, Brook Trout, Brown Trout, Cutthroat Trout, and Rainbow Trout. Trailhead for snowmobiling, ATV riding and mountain biking. 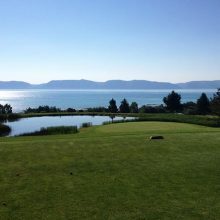 9 hole mountain course located above beautiful Bear Lake. Rental clubs, carts, pull carts and a fully stocked pro-shop. 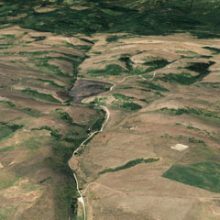 South Fork Trailhead for snowmobiling, ATV riding and mountain biking near Montpelier Idaho. 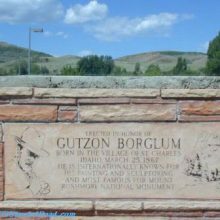 Gutzon Borglum was a prolific American sculptor best know for his presidents’ sculptures on Mount Rushmore, South Dakota. Borglum was born in St. Charles, Idaho in 1867.